Once the centre of brewing operations, the vats have now been removed and the Brewhouse is being carefully refurbished to provide 4,450m2 (47,850ft2) of lettable space with planning permission for office or educational use. This unique building is located beside the old abbey and has frontage on to Horse Barrack Lane which is being completely re-landscaped to provide high quality public space, all within a few minutes walk of the centre of the city. 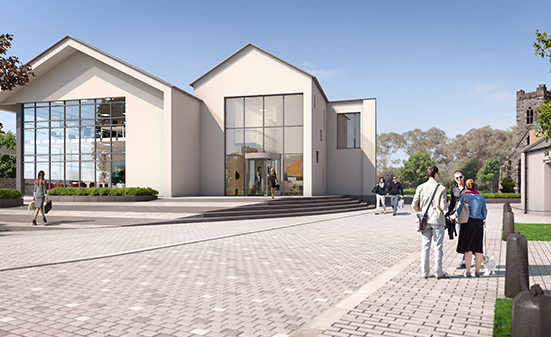 The Brewhouse will be the first building to be developed and will provide a range of flexible grade A office options. The building can be let as 3 separate floors (average 1,480m2 – 15,940ft2), or up to 12 office suites varying from 302m2 (3,250ft2) to 480m2 (5,170ft2). The new building is designed to achieve LEED gold standard. The Mayfair building was originally built as a ballroom in 1943 and is steeped in local heritage. 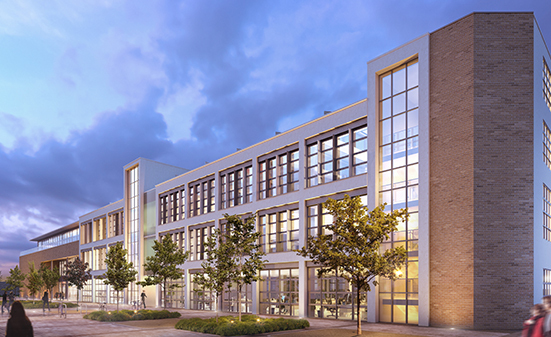 Once refurbished it will offer almost 1,540m2 (16,576ft2) of naturally ventilated, well-lit and flexible office space and form a gateway to the Abbey Quarter. The north side of the building sits on the old city walls which followed the river Bregagh and the renovation works will be sympathetic to its location at the “Watergate” which connected the old city centred on the castle and the less prosperous Irishtown centred on St Canice’s Cathedral.